Recollections GRM present two major works by Croatian-born, Paris-based composer, Ivo Malec, on their crucial reissue series. 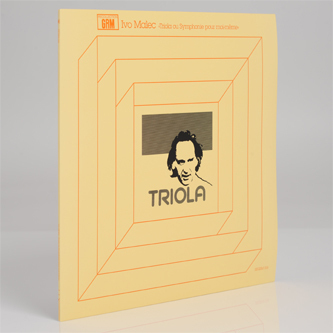 Originally issued on INA-GREM in 1978, 'Triola' and 'Bizarra' are challenging works of electro-acoustic abstraction conducted by steady hand to articulate a steely, cold and individual vision of sonic possibility. As an early member of the Groupe de musique concrète since 1959 alongside Pierre Schaeffer, Malec also honed his technical skills at the research services of of the french national broadcasters, ORTF prior to realising these works. 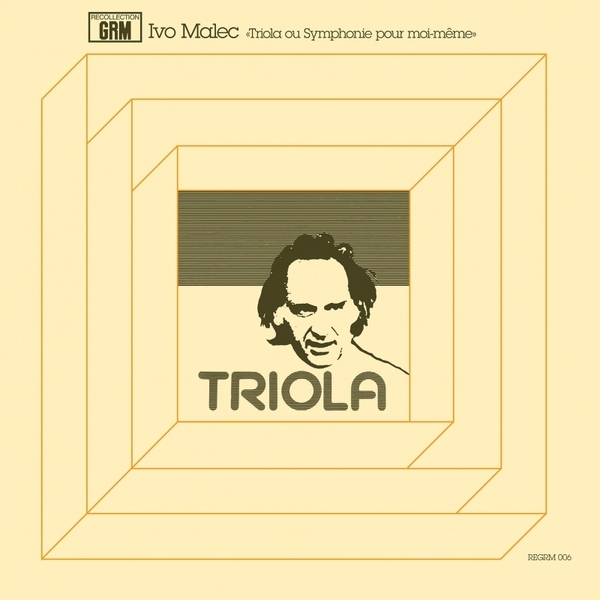 Covering the A-side and much of the B, the dominant piece is 'Triola ou Symphonie pour moi-même' (rough trans: "Triola, or symphony for myself"), a fantastic tract of sheer, often harsh, and dynamic sounds created and organised upon his return to the studio after a lengthy absence. It breaks down to three movements interjected by periods of silence, drawing us into with the controlled maelstrom of attacking bleeps, divebombing tones and boiling, rhythmic low-end noise in 'Turpituda', and seceding to writhing undulations, ghostly harmonics and fractured space of 'Ombra', concluding with the tense, widescreen interdimensional fluctuations of 'Nuda'. The equally radical, more concise piece, 'Bizarra' follows, drawing the ear between scurrying, semi-organic pulses and bursts of gaseous yet rapidly crystallising bursts, a soundscape which the composer likens with "Lautréamont's deserted swamps and emanations and to which I would add boiling lands, wet forests, volcanic landscapes and all kinds of entrails." We can practically smell the sulphur and sweet stench of rotting flesh... Highly recommended!